1.1We are committed to safeguarding the privacy of our website visitors and service users; in this policy we explain how we will handle your personal data. 2.2We may process data about your use of our website ("usage data"). The usage data may include your IP address, geographical location, browser type and version, operating system, referral source, length of visit, page views and website navigation paths, as well as information about the timing, frequency and pattern of your service use. The source of the usage data is our analytics tracking system. This usage data may be processed for the purposes of analyzing the use of our website. The legal basis for this processing is our legitimate interests, namely monitoring and improving our website functionality and ordering process. 2.3We may process your account data ("account data"). The account data may include your name and email address. The source of the account data is you. The account data may be processed for the purposes of operating our website, providing our services, ensuring the security of our website, maintaining back-ups of our databases and communicating with you. The legal basis for this processing is our legitimate interests, namely the proper administration and operation of our website and business. 2.4We may process your information included in your personal profile on our website ("profile data"). The profile data may include your name, address, telephone number, and email address. The profile data may be processed for the purposes of enabling and monitoring your use of our website as well as order fulfillment. The legal basis for this processing is our legitimate interests, namely the proper administration of our website, business and order fulfillment. 2.5We may process information contained in any enquiry you submit to us regarding products and/or website information/functionality ("enquiry data"). The enquiry data may be processed for the purposes of resolving requests and/or issues you may encounter while using our website or product. 2.6We may process information related to transactions, namely purchases of our product, that you enter into with us ("transaction data"). The transaction data may include your contact details, your card details and the transaction details. The transaction data may be processed for the purpose of supplying the purchased goods and keeping proper records of those transactions. We do not store any credit or debit card details in our database. The legal basis for this processing is order fulfillment and payment validation. All information transmitted between you and our website is encrypted via 2048-bit transport layer security protocol (SSL). 2.7We may process information that you provide to us for the purpose of subscribing to our email notifications and/or newsletters ("notification data"). The notification data may be processed for the purposes of sending you the relevant notifications and/or newsletters. 2.8We may process information contained in or relating to any communication that you send to us ("correspondence data"). The correspondence data may include the communication content and metadata associated with the communication. Our website will generate the metadata associated with communications made using the website contact forms. The correspondence data may be processed for the purposes of communicating with you and record-keeping. The legal basis for this processing is our legitimate interests, namely the proper administration of our website and business and communications with users. 2.9In addition to the specific purposes for which we may process your personal data set out in this Section 2, we may also process any of your personal data where such processing is necessary for compliance with a legal obligation to which we are subject, or in order to protect your vital interests or the vital interests of another individual. 2.10Please do not supply any other person's personal data to us, unless we prompt you to do so. 3.1We may disclose your personal data to any member of our group of companies (this means our subsidiaries, our ultimate holding company and all its subsidiaries) insofar as reasonably necessary for the purposes set out in this policy. 3.2We may disclose your personal data to our insurers and/or professional advisers insofar as reasonably necessary for the purposes of obtaining and maintaining insurance coverage, managing risks, obtaining professional advice and managing legal disputes. 3.3We may disclose your profile data to our subcontractors and logistic partners insofar as reasonably necessary for delivering products ordered through our website. 3.4Financial transactions related to our website and product are handled by our payment services providers. We will share transaction data with our payment services providers only to the extent necessary for the purposes of processing your payments, refunding such payments and dealing with complaints and queries relating to such payments and refunds. 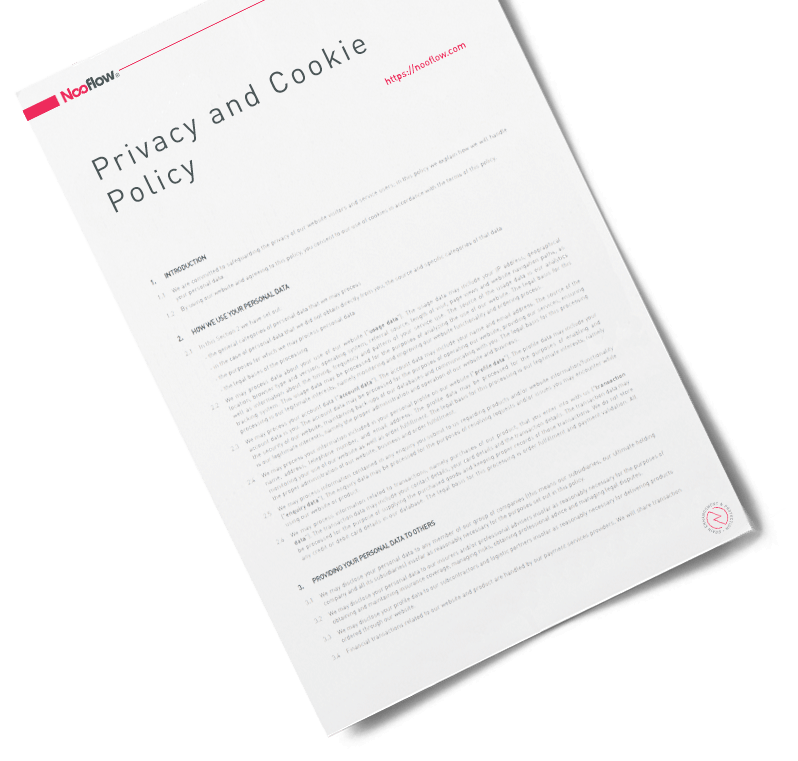 You can find information about the payment service provider's privacy policies and practices at their respective web addresses. 3.5In addition to the specific disclosures of personal data set out in this Section 3, we may also disclose your personal data where such disclosure is necessary for compliance with a legal obligation to which we are subject, or in order to protect your vital interests or the vital interests of another individual. 4.2The hosting facilities for our website are situated in the United States of America (USA). The European Commission has made an "adequacy decision" with respect to the data protection laws of this country. Transfers to this country will be protected by appropriate safeguards, namely the use of standard data protection clauses adopted or approved by the European Commission. - All data will be retained for a period of 3 (three) years, at the end of which period it will be deleted from our systems. 5.4Notwithstanding the other provisions of this Section 5, we may retain your personal data where such retention is necessary for compliance with a legal obligation to which we are subject, or in order to protect your vital interests or the vital interests of another individual. 6.1We may update this policy by publishing a new version on our website. 6.2You should check this page occasionally to ensure you agree with any changes to this policy. - the supply of appropriate evidence of your identity (for this purpose, we will usually accept a photocopy of your passport or national ID card plus an original copy of a utility bill showing your current address). 7.2We may withhold personal information that you request to the extent permitted by law. 7.3You may instruct us at any time not to process your personal information for marketing purposes. 7.4In practice, you will usually either expressly agree in advance to our use of your personal information for marketing purposes, or we will provide you with an opportunity to opt out of the use of your personal information for marketing purposes. 8.2Cookies may be either "persistent" cookies or "session" cookies: a persistent cookie will be stored by a web browser and will remain valid until its set expiry date, unless deleted by the user before the expiry date; a session cookie, on the other hand, will expire at the end of the user's session, when the web browser is closed. 11.1Most browsers allow you to refuse to accept cookies and to delete cookies. The methods for doing so vary from browser to browser, and from version to version. 11.2Blocking all cookies will have a negative impact upon the usability of our and other websites. 12.1This website is owned and operated by Corpo Labs Limited. 12.2We are registered in Bulgaria under registration number 201719933, and our registered office is at 14 Tsar Osvoboditel Blvd., Landmark Center, 1000 Sofia, Bulgaria. 12.3Our principal place of business is at address 14 Tsar Osvoboditel Blvd., Landmark Center, 1000 Sofia, Bulgaria.